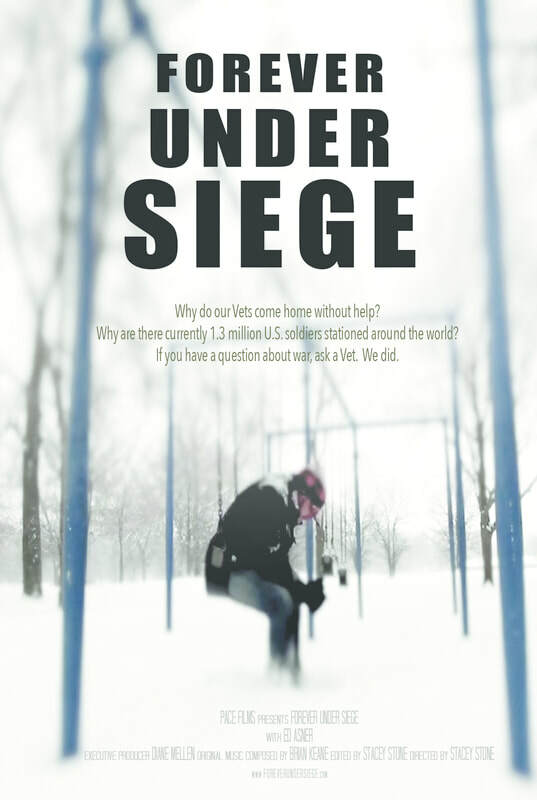 "Forever Under Siege" Trailer from Stacey Stone on Vimeo. PTSD (Post Traumatic Stress Disorder) has been around since the first men walked the planet. It's only been recently that it's been recognized as a mental illness. People afflicted "before" it was officially recognized, were usually just thought of as crazy folk, and it's crazy to think this was how things were for so long. Even though "Forever Under Siege" focuses on war veterans, PTSD is not limited to soldiers. Any person witnessing a tragic event can end up with it. It's a no win scenario all around. Stacey Stone, who has written and directed this documentary, cuts to the chase right away. This title is about what it's like coming home from war. This title is about the mistreatment of soldiers, from the governing body of the time. Maybe even more important, this title allows our veterans to tell their stories. You may think you know these stories already. Perhaps to some extent you do. You also have to realize that much of what you know has been groomed into you. It's been etched into your brain that going to war, and serving your country, is the right thing to do. Be somebody. Be a hero. Sound familiar? Even the most brutal of war films, still pushes those facts. Hard. What usually ends up washed over, is what happens to the soldiers afterwards. The complete disregard that only recently, has begun to be addressed. Reluctantly. It would be easy to say that "Forever Under Siege" is for the soldiers, to tell their stories and shine a light on the mistakes made by so many government officials. The truth is that this title is equally for the viewer. To help them understand the hardships and trials veterans have to deal with every day, and I'm not writing of the war(s) themselves. This title is to help us understand that just because a soldier looks fine physically, doesn't mean they were left untouched. "Forever Under Siege" forces you to see and understand the "real" sacrifices made by these brave souls. The lifelong sacrifices. Perhaps you'll even question the "current" state of things in the world. Maybe even ask one simple question. Why still? The main reason this title gets things so right is that it remains narrowed in on the veterans. Listening to their stories forced me to actually "feel" something, and not just fluff everything under the rug. The direction of the stories is also done expertly. What we don't have is a mash up of everything negative. There are a few stories of good, poking through the darkness. Even in the most horrible of situations, "Forever Under Siege" reminds us that some still had hope. It was an excellent choice to do things this way, keeping this title about the people and not always the wrong doings of government. Stacey Stone makes sure we remember this isn't just another documentary on the evils of war, or big brother. At the same time, that's just what it's about. I couldn't help but see and agree with most of what I was taking in. Reality is simple. The "why" is not. I also couldn't help but wonder when America became the bully? That's certainly how it seems now, and I feel for all those caught in the middle. "Forever Under Siege" is an excellent piece of film minus the gimmickry. The people are real, not actors. The stories are real, and they will remain with you. I'm usually tough on documentaries because a lot of them are just random clips found online. This one is different. This one is actually good. If you have a question about war. Ask a vet. Then check out this short film.